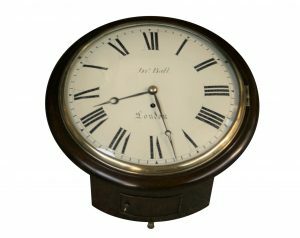 A Regency mahogany cased eight day Fusee wall clock by John Ball, London. 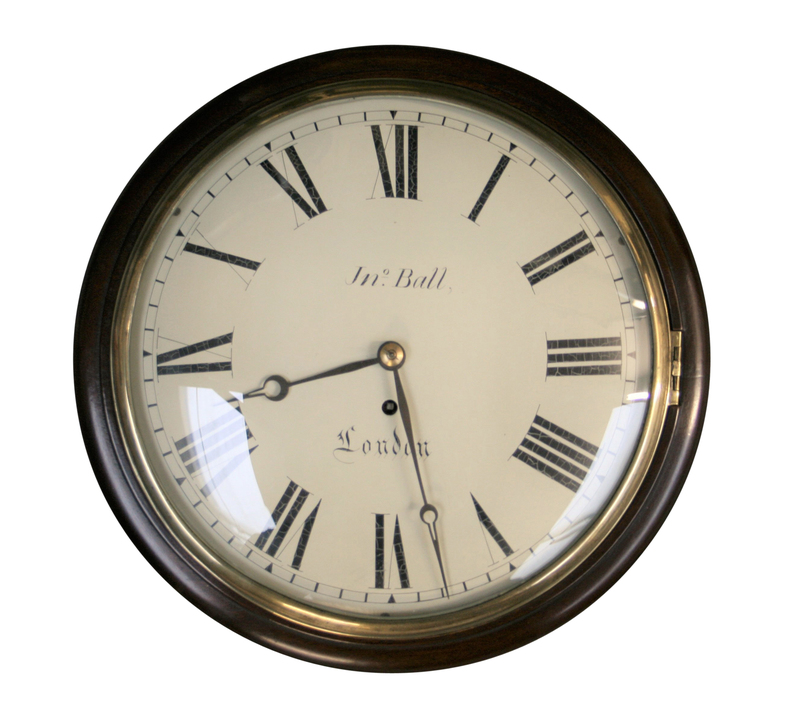 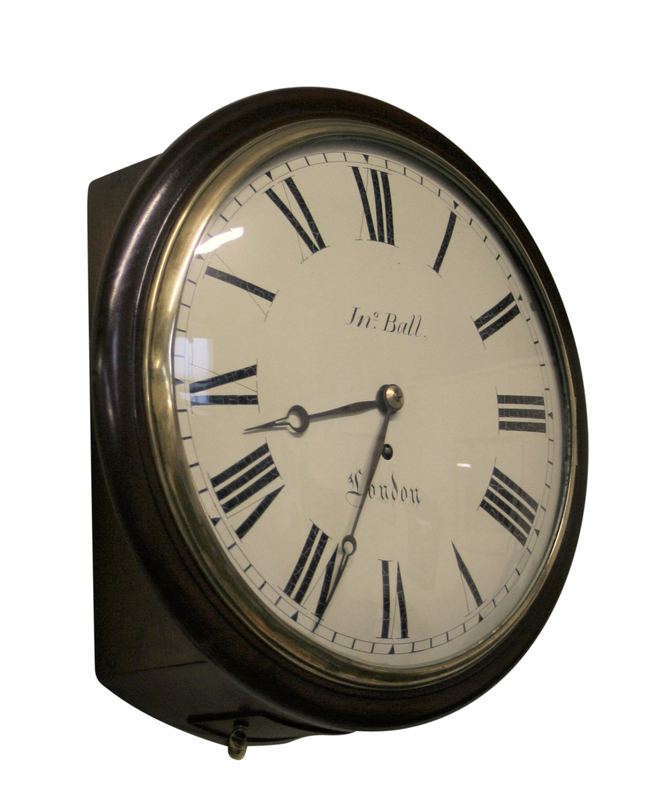 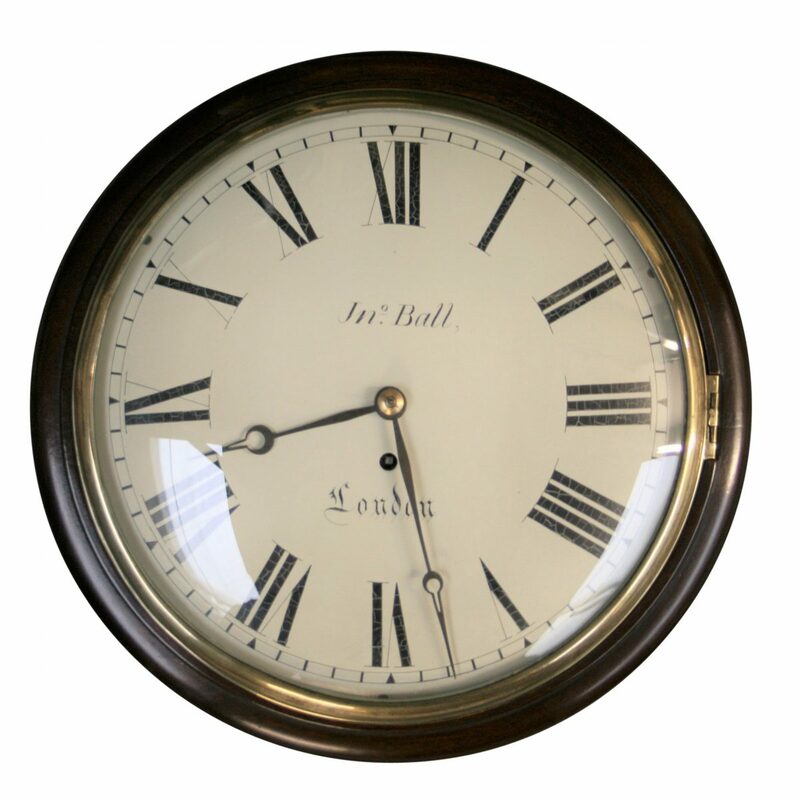 The 12 inch painted dial has roman numerals. 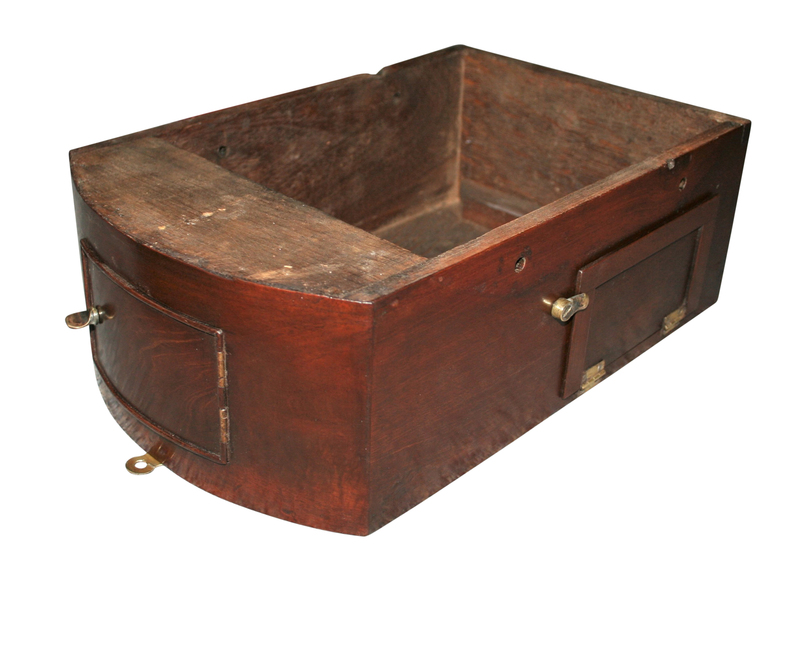 This sits behind a brass bezel, which is surrounded by a mahogany moulding. 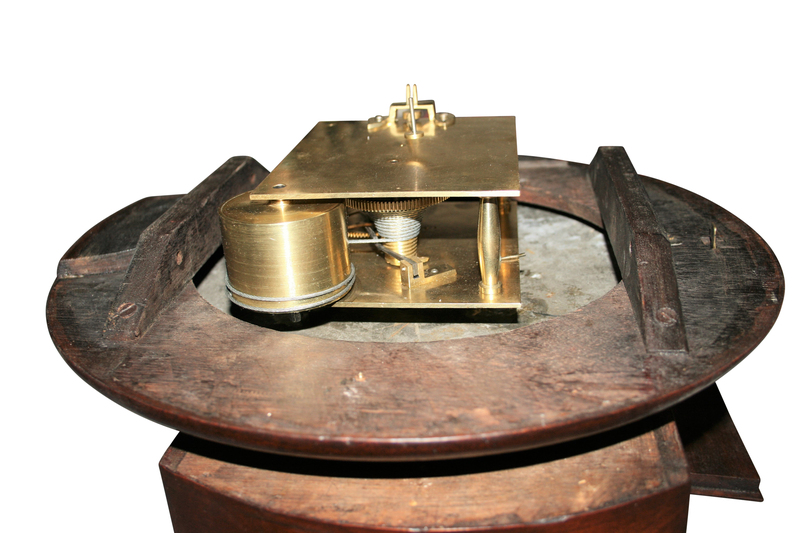 The case is fitted with two doors, for pendulum adjustment.